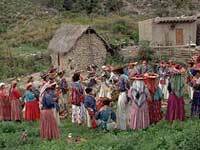 Join us as we experience one of the few remaining indigenous tribes in the world, the Huichol Indians. We'll take our private 13-seat Cessna on a one-hour flight up to the remote mountain village of San Andres Coamihata, where you can interact with perhaps the only pre-Columbian tribe that still lives almost as they have for centuries before. 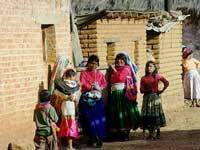 Our eye-opening tour to this sacred land offers you the unique opportunity to step into the Huichol's way of life and a world that is central to a mesmerizing legend, dating back over 2000 years. Runs: Fridays at 8:30AM or 9:30AM from December through April. Departs From: Pick-up and drop-off from your Puerto Vallarta hotel (in most cases). Detailed directions will be provided with your confirmation. Our tours are open to everyone, hotel guests, cruise ship passengers, residents, everyone! All prices are in U.S. Dollars and include all taxes.